There are times when you just gotta have French toast! For me, it's those rainy cozy weekend mornings that call for an extra delicious breakfast. If you have some extra time to prepare your breakfast, try my healthy take on this all-time favorite! Whisk together egg whites, egg, almond milk, vanilla, hazelnut, cinnamon, and Stevia. Coat each slice of bread in mixture. Fry in a sprayed, heated pan 2 minutes each side, or until golden brown. 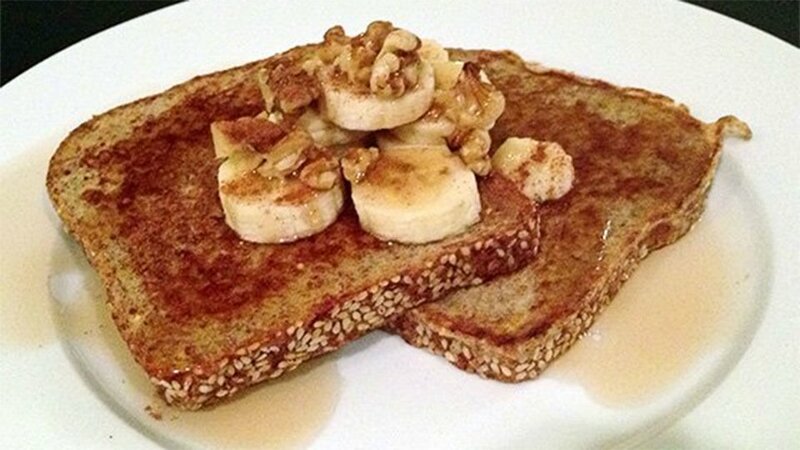 Top slices with sliced banana, walnut halves, and your favorite sugar-free syrup.